It’s no secret that I’ve been working on this poor kids collection for years and yonks now. Had to share these happy snaps from the photo shoot, it’s almost ready, yay! Losienstudio took these great shots for Lavidadelosobjectos. 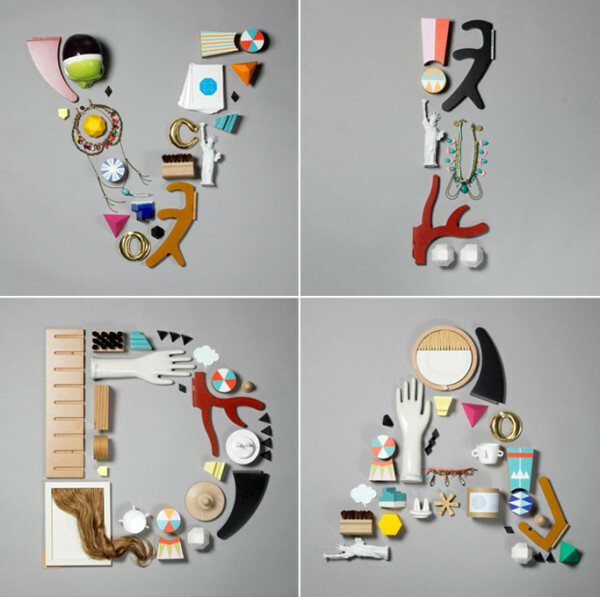 Exciting to see Tivolivat used in this creative way! 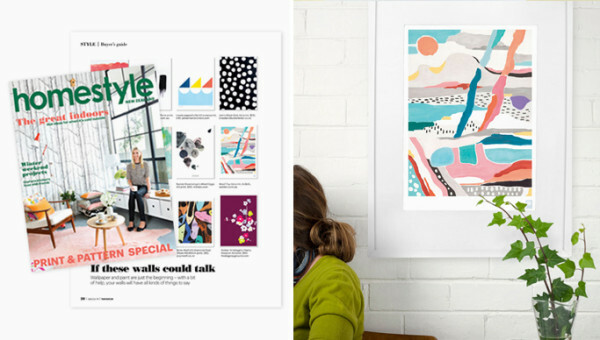 The Coast “Pool” wall hanging is proud to take part in an amazing give-away with Frankie magazine. Subscribe to win a whole room of goodness! Hurry only one room to win! 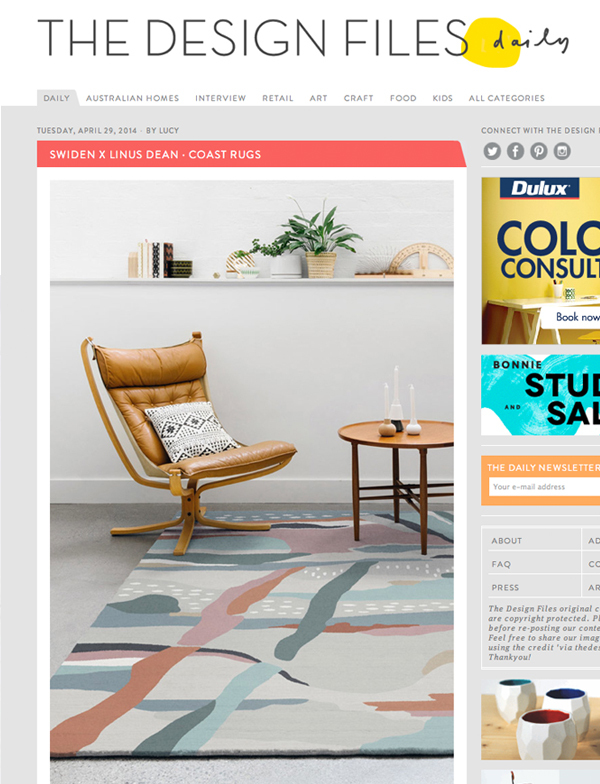 So excited to see the Coast Rugs making an appearance on the Design Files today! 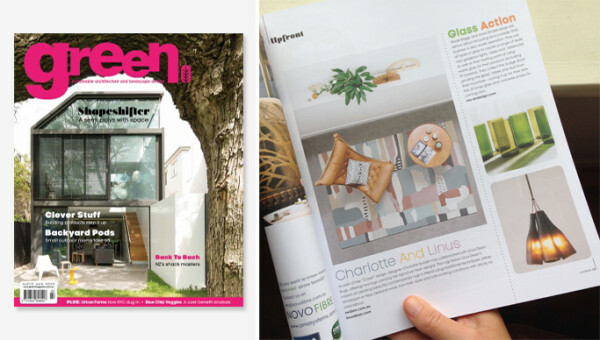 Swiden and Linus Dean rug collab in Green Magazine! 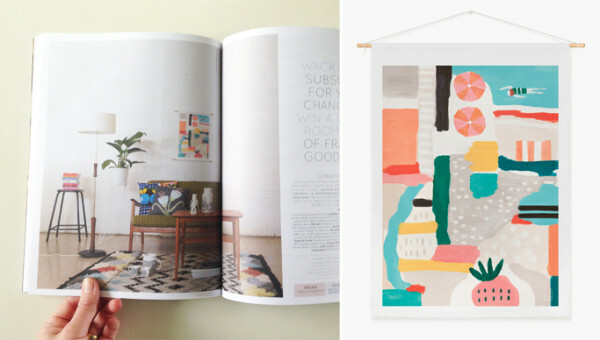 This is one of my favourite magazines, so great to see the rugs here! Wanderlust Store source beautiful artisan-quality wares from around the world. We are very excited about our first Western Australian retailer! These super ladies made my day and the Coast Rug shoot a success. it just seems like everything they touch turn in to gold! If you haven’t checked out their work yet you need to get on to it! 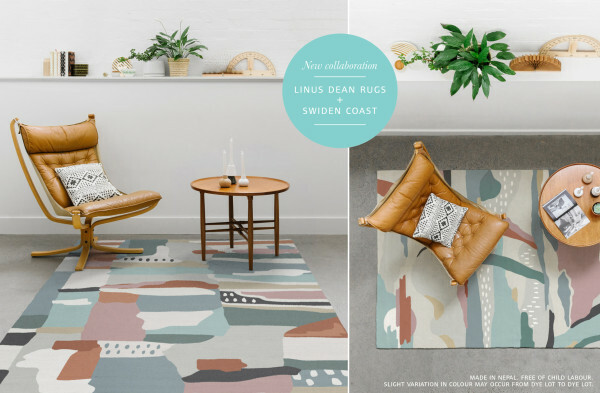 Linus Dean, the man behind the brand ‘Linus Dean Rugs’ is someone I greatly admire. Made in Nepal, his rugs are individually hand crafted using environmentally friendly dyes, safe working conditions, a strictly no child-labour policy and the utmost care and pride. Linus Dean rugs are 100% ethical and the manufacturer is registered with ‘Good Weave’ ensuring the weaving villages are safe, clean and child labour free.